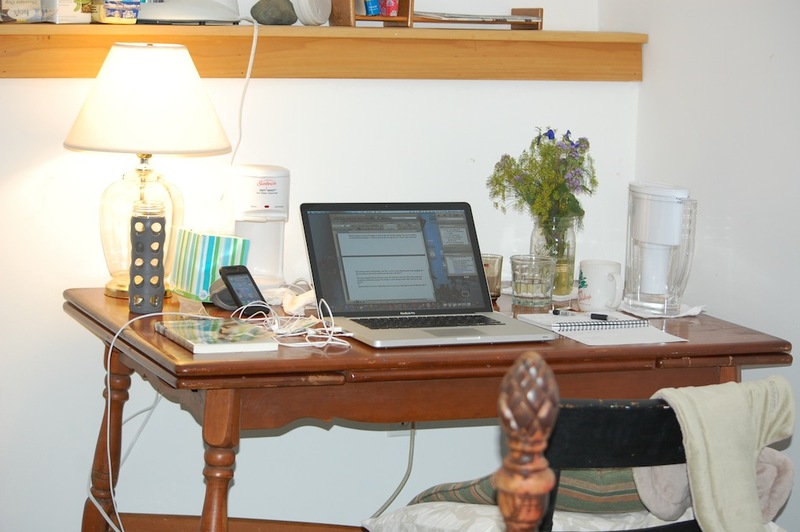 I have enjoyed a fulfilling two weeks at a small writers retreat, Wellspring House, which resides in the bucolic community of Ashfield, Mass., which is a village really, with a population of about two thousand. I’ve been to Wellspring House once or twice a year for the past three years, but this is the first time I’ve stayed for two weeks. People often ask me why it is that I can’t create the same circumstances from my home office, now that my family is grown and gone. To answer their question I start by saying that when I’m here at Wellspring House, there is no cell phone reception. Immediately, that isolates me in a way that is at first unnerving, (for about two days) and then, it’s heavenly. Also, I don’t have to get the mail and do whatever it is that is required of it. Housework and home projects don’t haunt and distract me and gobble up my time. My “to do” list while I’m at the retreat generally resides in my head and is short: write. Of course, I have not scheduled any work appointments for the time I’m here, nor doctor or dentist appointments. Unexpected visitors don’t come by and I’m not tempted by a spontaneous invitation from friends to join them for a walk, lunch or dinner. I do, however, try to walk every day, both for physical and mental exercise. The landscape here is spectacular as you can see in a slideshow I shared a couple of days ago here at sublime days. I have a route that assures a good cardio workout as well as visual pleasure that awakens my reflective nature, my philosophical side. Much “writing” happens in my head while on these walks. Words get “put to paper” on my return. Ashfield is a village, really, with a population of about two thousand. This year’s foliage has been astoundingly beautiful in Ashfield, Mass. 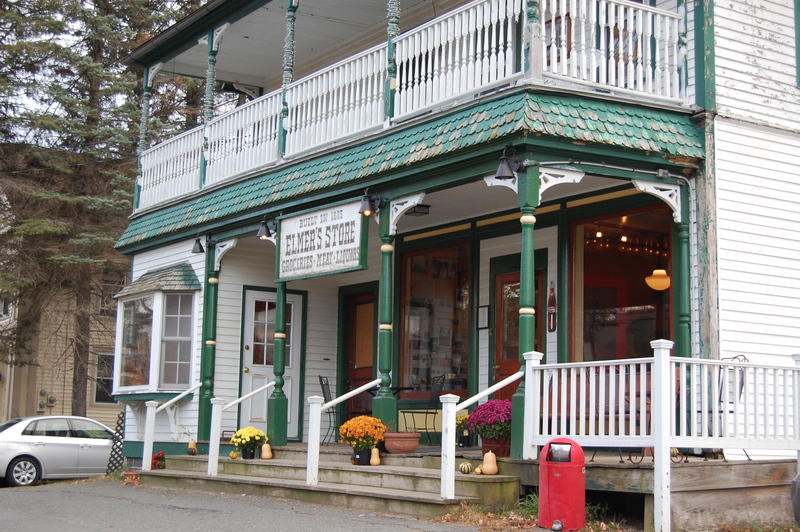 – which is situated in the foothills of the Berkshires. The wifi connection at the retreat does bring in my email. But I keep all necessary correspondence brief. Ahead of time, everyone knows where I am and why I’m here so the reasons behind my not typical, cryptic replies are understood. When here, I meet other writers, generally thoughtful, busy and quiet folk who, like me, want to maximize their time here. To be in their presence, each of us behind the closed door of our deliberately sparse (though most comfortable) bedrooms/writing rooms is to be in the midst of a creative energy that inspires me and makes me more productive than I could be at home. I do the bulk of my writing when I’m here. I do the lion’s share of my editing at home. I have visited other retreats, not as a guest myself, but when visiting someone I know who’s in residence. And I’ve talked to writers about places they’ve been. Often, there is a rhythm to the days at these sites that I would find disruptive to my work. There might be a dining hall that is the source of all meals, and that is run on an exact schedule. There might be nightly readings or presentations of artwork or collaborative and creative performances. It’s hard to skip these optional events when a fellow dining table member is the artist. I know I’d be torn by being supportive of them but needing to get to my own work, especially as I do my most productive work through the evening and into the night. Some residencies have housing in one building and workspaces in another building. This requires going back and forth throughout the day, always with hope that you’ve not left behind something that’s needed in either place. So, what I love about Wellspring House is that it’s self contained – everything is under one roof – and the writer/artist can work on his or her own schedule as each of us brings our own food and we each prepare our own meals. It’s a real treat to happen to overlap in the kitchen with other writers. There, the silence of the upstairs rooms is lifted — and enjoyable, meaningful conversations take place – sometimes about writing, or about being a writer, or about books and authors and writing styles, about publishing, or about our home lives. I’ve made wonderful friends through the years at Wellspring House. Generally, once a week there will be a reading – and always it’s optional. Ashfield offers a wonderful café/grocery and gift market just a five-minute walk from the retreat. It is the hub of Ashfield. It’s here at Elmer’s (I’ve linked to the breakfast menu, which is an entertaining read that changes periodically through the clever and creative mind of Nan, the proprietor) that you get the real feel for this community, and it is truly a community. Some of the visiting residents at Wellspring House have many of their meals at Elmer’s. I’ve enjoyed the egg-whites-only version of the Obamalette and the gluten free pancakes twice while here during this stay. The meals at Elmer’s are fantastic, fresh, fun and filling. And the staff is by far the friendliest I’ve ever encountered. Much of the food served and sold at Elmer’s is locally supplied. I limit myself to going to Elmer’s once or twice a week – so that I don’t cut into my writing time and also so that I’m not so full of delicious food that I get sleepy at my desk! Ashfield is a tight-knit community and once you’ve been here a few days, you begin to get into the groove of life in rural America. It can’t help but inspire any writer. Ashfield’s library is between the retreat house and Elmer’s, so it takes maybe three minutes to walk to it. 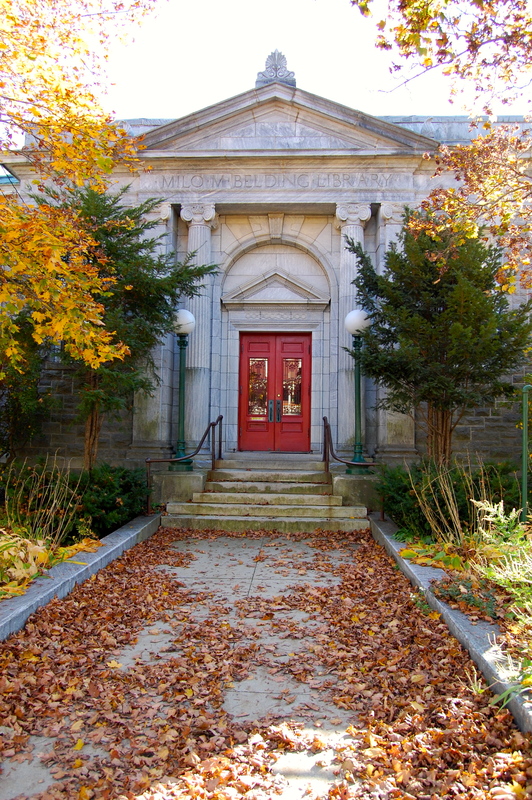 It is a beautiful, small library but has limited hours, so check ahead before visiting. A two-minute walk from the retreat house (in the opposite direction from Elmer’s and the library) is a gas station/grocery store where any forgotten item can be purchased though at the typical overpriced cost that all small markets charge. And for those who enjoy a glass of wine with dinner, as I do, there is a small selection of reds and whites. Wellspring House is a wonderful place. I encourage you to consider it if ever you have need for a quiet, inspiring setting from which to be creative.